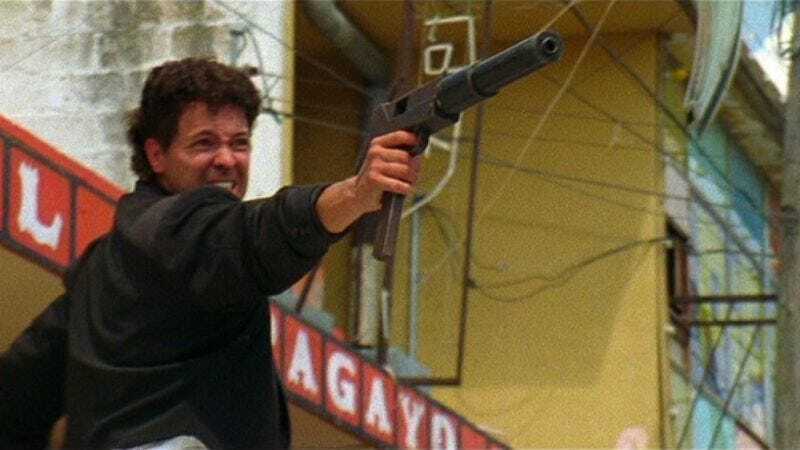 To celebrate the 25th anniversary of his debut feature El Mariachi—which was made in 1992 for $7,000—do-it-yourself filmmaker Robert Rodriguez said on the Nerdist podcast that he plans to make another film for $7,000 next year. Although inflation has increased the cost of moviemaking over the past 25 years, filmmakers also have access to more technology that allows for shooting on the cheap. “I’ll have no crew,” Rodriguez says, “I’ll just use friends. I’ve got some pretty cool friends I can put in front of the camera, but still, no crew, no money.” He added that he’s also hiring a documentary film crew to chronicle the process, in order to teach young directors how to make a movie when all they have is a few thousand bucks and people like Danny Trejo and Selma Hayek on speed dial.